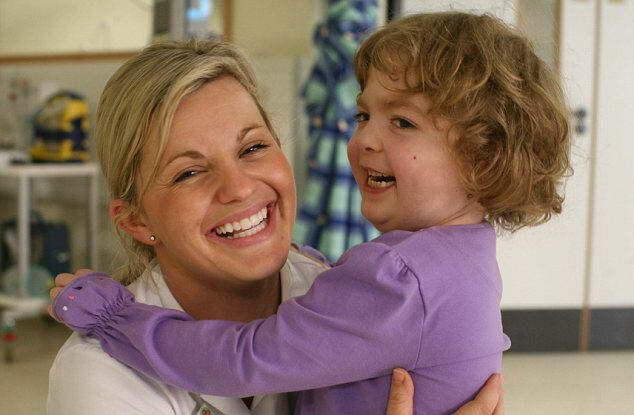 At the age of six, Amy Ferguson is already on her third heart. She lost the first to a rare condition at the age of two and her body rejected the replacement, leading to a second transplant. Several times she proved doctors wrong when they said they did not expect her to live. Now she is in training for her school sports day next week - and determined to do well. 'After everything’s she’s been through she’s still a happy girl who just wants to get on with life,’ said her mother Veronica, 39. Amy fell ill in 2006 and was expected to die within 24 hours. Doctors diagnosed an infection of the aorta which was destroying her heart. 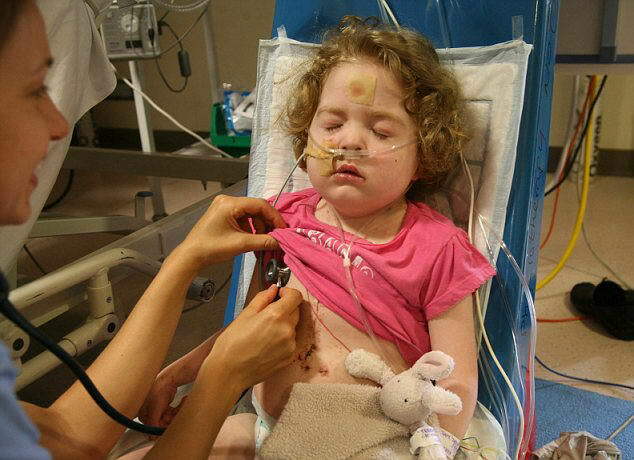 She received a transplant at Great Ormond Street Hospital in London. But, despite anti-rejection drugs her body would not accept the organ and two years later she was back in the same hospital, where her mother was told she needed another transplant. Despite severe complications, the nine-hour operation was a success and last week Amy returned to school in Dublin. To treat thousands of very sick children each year, Great Ormond Street Hospital needs to raise £50million annually from donations, over and above any funding it receives from the NHS.